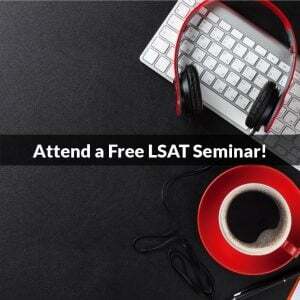 You are here: Home / LSAT Prep / Do You Really Need to Do All 7,000 Practice Test Questions? Do You Really Need to Do All 7,000 Practice Test Questions? When the October 2013 LSAT was released, it was called PrepTest 70. 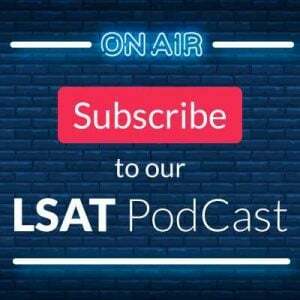 In other words, there are 70 licensed LSAT’s, containing 7,000 questions for you to use in the course of your LSAT prep. Sounds daunting? It is, if only because you know someone who is doing all 7,000 questions (and complaining they aren’t enough). To put this in perspective, hundreds of test-takers have managed to get a top-1% score without doing anything near 7,000 questions. Despite minor variations in question composition or type of reasoning used on the LSAT, the test doesn’t change much year after year. The key is to study efficiently, not crank out as many practice tests as possible. Practice Tests and Take-Home Test Scoring. Four of the practice tests you take will be proctored in class; the rest are for you to take at home. While you don’t need to take all 22 (soon to be 23) additional take-home tests, aim to complete at least half of them. For more information on how to take practice tests, click here. Virtual Lesson Recaps and Explanations: These are primarily meant for students who happen to miss a lesson, but can be extremely helpful to anyone who found the material covered in class to be particularly challenging. While you need not watch every Lesson Recap or read every single question explanation, focus on the areas you found most difficult to comprehend. Lesson Homework. You must complete the homework for each lesson, beginning with the conceptual overview, homework drills, and practice sections. If you have a hard time finishing all of your homework in time, check out the Critical Homework List provided online under Lesson and Homework Supplements. Homework Explanations. As you do your homework, you will occasionally stumble on a question or a game. The games are all set up at the end of each homework section. The Logical Reasoning questions are all explained online: use those explanations to determine the most efficient method of approach, and figure out why the answer you chose is incorrect. Concept-specific Modules. Some lessons are supplemented with concept-specific modules and other analysis, available online under Lesson and Homework Supplements. Those are great to watch if you struggle with a particular concept, or are curious to find out more about how to approach certain questions of medium-to-high difficulty. Supplemental Test Sections. Leave those for the second half of your course, or after the course is over (if you have a few weeks left before test day). There are hundreds of additional questions in these sections, and it is probably wise to focus on those sections with which you tend to struggle the most. Discussion Forum. If you stumble on a question from your homework or take-home practice test, and aren’t convinced by our online explanations, ask about it on our Discussion Forum! We try to answer all questions within 24 hours. Hotline. If you are working on your homework and have any questions not answered by the written explanations, we have an LSAT Hotline (a toll-free 800 number) that is open 15 hours a week (5 PM to 8 PM Monday through Friday EST). The Hotline is staffed by our regular instructors who can quickly answer any question that is causing you difficulty, no matter if it is from the lessons, homework, practice tests or online supplements. Class Time. 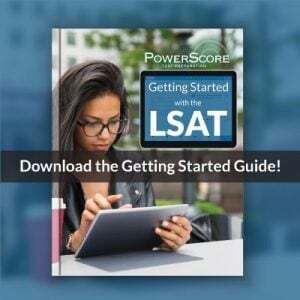 There are a total of 20 meetings in the PowerScore LSAT Course, including 13 four-hour lecture sessions, 4 practice LSATs, and 3 practice test reviews. That adds up to a total of 80 hours of in-class time. If you need to make up any of the lectures, call our toll-free 800 number to inquire. Alternatively, use the Online Lesson Recaps, presented on the same learning platform used in our popular Live Online LSAT Course.